HÀ NỘI — Some 3.6 million Vietnamese are suffering from depression, accounting for four per cent of the total population, the Ministry of Health (MoH) said on Friday. 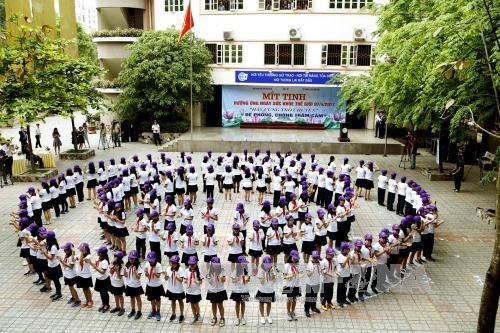 The statistics were revealed during a meeting to mark World Health Day at a secondary school in Hà Nội and were based on studies conducted by the World Health Organisation (WHO) in 2015. Depression is a mental disorder that commonly occurs in people with stress, those that have experienced psychological trauma in daily life with family members or social connections or after they have suffered from other illnesses, affecting their physical health and ability to study and work, according to WHO. The risk of suicide in people with depression is 25 times higher than in people without mental disorders, the study revealed. Each year, some 5,000 Vietnamese and 800,000 people worldwide commit suicide, and depression is one of the leading causes, the study said. Speaking at the meeting, Deputy Health Minister Nguyễn Thanh Long said depression is a serious health problem in Việt Nam and worldwide. Despite the ministry’s efforts to pay attention to mental health services over the last few years, actions, activities and programmes to deal with the issue in Việt Nam were only implemented in a few localities on a small scale, he said. A majority of people with depression have not been discovered, helped and cared for properly, he added. Most people have not been provided with proper understanding of the illness, leading to discrimination, he said. Deputy minister Long said the MoH considers depression a priority under the nation’s mental healthcare programme. More information, education and communication on the illness must be provided so that people understand and are able to recognise its symptoms and get timely treatment, in addition to helping people with depression overcome the illness, he said. Schools play a vital role in educating and taking care of students’ mental health because the rate of depression is highest among students and young people, he added. The MoH requests that the Ministry of Education and Training continue to instruct educational units in providing education on healthy lifestyles, physical training and soft skills for students to identify early risks of depression among students and collaborate with families to provide them with timely consultancy and care, he said. Depression is not a sign of weakness and can happen to anyone, the MoH affirmed.